Very very exciting stuff. Perfect for my line of business, wedding photography, where TTL is a must! I read on you page 33 of your manual that there are certain features not available like rear curtain, and control of the flash via the camera menu system. Is that something that will be possible in the future via a firmware upgrade or is there an inherent design limitation that will not allow it? Awesome Looks like I will be picking up a mini to use that hyper sync option. What about using the hyper sync in the opposite way though could you create a delay in the flash firing? What can I say but wow… most importantly though what is the likelyhood of manual remote power settings being implemented in the near future? Thats one big feature lacking that has many still looking to the aternatives right now. Also no mention of the European/CE version, is that on the way and what likely time frame? So, apparently unlike Radio Poppers, these require specific models for specific camera types. I’m sure it’s a bit early to ask since, presumably, you guys are working on the Nikon version, but are there any plans for Sony support in the future? Wow! finally we have a high speed sync solution. This is great! now I gotta go borrow some money so I can have one of these. exciting new product but a bit disappointing it is not available in a CE version right away. When can we expect to see it? There’s probably a technical or commercial reason for it but would it really be that impossible to build just one model that can be simply switched for USA or CE frequency? My major buying point would be the hypersync. as far as i’ve gathered with canon it’s 1/500 only for the 1D and significantly slower on the full frame (1/250ish). Are there any estimates on a nikon d3? what happens if we mix strobes (ie. sb800 & sb25)? I have a question. Im currently using 2 SB28s and a Vivitar 285. Why I would buy this unit is to use the hypersync feature. I realize that the Viv and the SBs would probably have different hyper sync values and triggertimes. Is the new unit capable of fireing off 2 groups of flashes, that being SB28s, and the Viv, with hypersync at the same time? Using regular PWIIs for recievers that is. Nice finally some third party support for Nikon flashes. Wait when are the Nikon capable units out?? Good Engineering. Congrads on a cool product! what is the story on 1/500th sync with the 5DMK2? On the robgalbraith tests he could only get 1/250th. Can you shed some ‘light’ on this one? I see that the 550EX Speedlite is not listed – is there a reason for this? Will these new PW units not work at all with the 550EX? Do you have an ETA for Nikon systems in the US? End of April? Say yes, please….. Awesome – thank you for manufacturing what appears to be the best accessory available for wireless remote flash triggering – and the small size and lack of weight are an additional bonus! 1. I currently use a Sekonic Flashmaster L-358 with the Sekonic RT-32FCC Module. I use this configuration to trigger off camera flash units which have a PocketWizard Plus II attached in order to test during set up prior to a session. Will I still be able to use the Sekonic to test fire flash units attached to a Flex TT5 (in manual mode only I suspect if at all)? 2. While reading through the online instruction manual I read that it is recommended that Flex TT5 units NOT be placed close together. I currently us a double mount flash bracket made by Really Right Stuff that places two of my Canon 580 EX units about 8″ apart. For this configuration would it be best to use one Flex TT5 and then plug the second 580 EX into the /P2 Flash Triggering Port at the rear of the Flex TT5? this is not e-TTL or i-TTL, the camera body actually “thinks” that a TTL strobe is on the hot-shoe of the body (am i right) ? I shoot Nikon, so if i use these things no i-TTL function will be available (such as multiple groups, power adjustment of those groups in the camera body, etc.) ? are the thing just basically a wireless TTL cord (with some cool functions added) ? does the hypersync option with a canon 1ds mark III works as well lets say with a elinchrom ranger as or a profoto b2r unit, or only with canon flashes? so that we get 1/500 s with other strobes than canon 580 ex II , with a canon 1 ds mark III for example. Would be bringing MF users into some trouble I think. No leaf shutter lenses anymore needed? I’m also disapointed that the Hypersynch is able to deliver only 1/3 stop improvement for the 5d/5d2. Is there any likelihood that this will be improved, or is that it? why still no units that are worldwide usable? Hi, folks – thanks so much for your questions, comments and compliments! 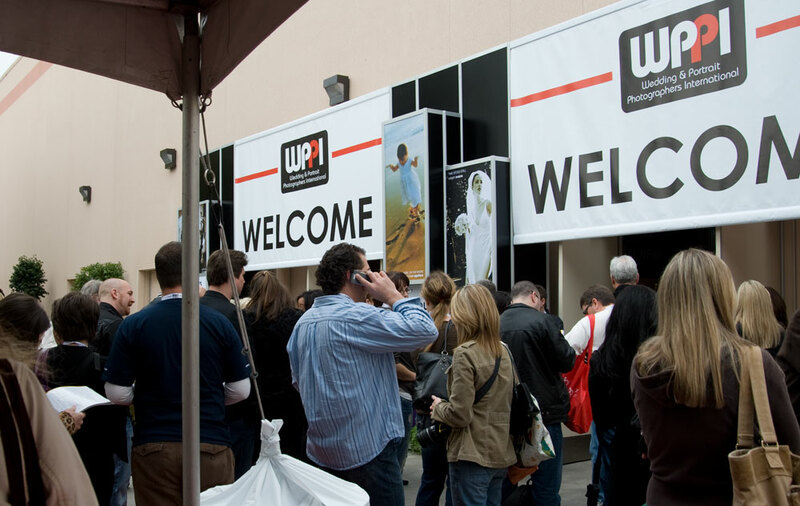 We’re wrapping up out at WPPI in Las Vegas and will be replying over the next few days. Hi, this is Patrick Clow, Tech Support Manager for PocketWizard up in Vermont. I’ll try to answer your questions. Sorry about the giganto post with no good quoting! CE availability (Europe, Australia, some parts of Asia) is slated in about 6 weeks for Canon. We don’t make “universal” versions because the very safe frequencies we use in the USA are not available in CE countries, and the CE frequency, while available in the US, is fairly crowded in the US. Limitations from Page 33. Yes, many of those are slated for exploration by our Engineers over the next year or so. Technical feasibility will be determined as we go along. Unfortunately I cannot speculate and give you anything resembling a precise date when which features will be tackled when. Same with implementing a delay feature. Manual remote power control is one the single most frequently asked questions. We are keenly aware of the need and are considering ways to get it implemented. Stay tuned! Nikon support is in the works. We are saying Q2/09. Whether that’s early Q2 or late Q2 I cannot precisely say, but we are focusing on it and hope for sooner rather than later. Earliest would be 8 weeks from now at best. Other camera brands like Sony may be considered if interest is high enough. One step at a time! HyperSync for Canon is very dependent on the speed of the shutter in the camera, the imager size relative to the shutter, and your flash duration. The 40D and 50D do HyperSync very well, for instance (slow shutter, but smaller imagers). 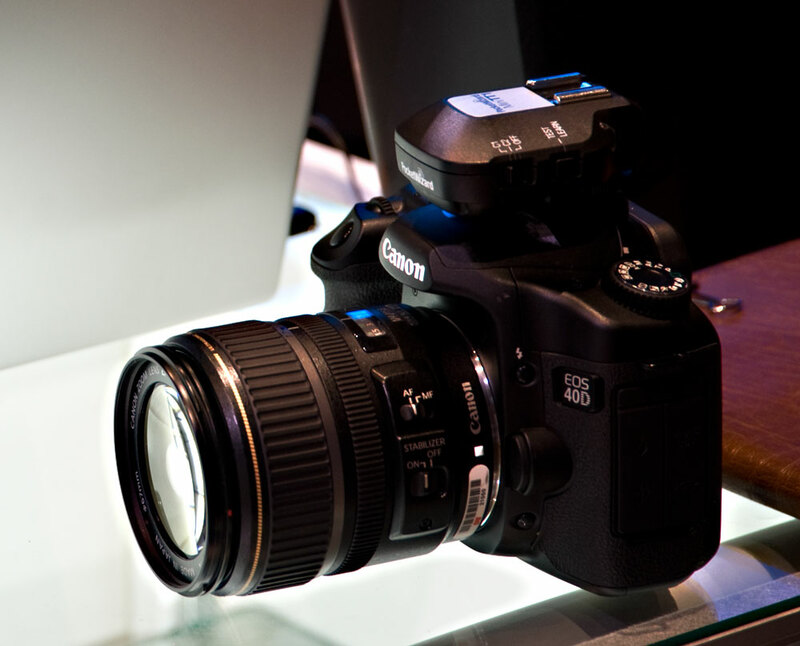 The 5D series have full frame sensors and slower shutters than the 1D Mark II on up. This is a hard limitation in the camera. That said, depending on your flash and tolerance for slight light gradations across the frame, you can, with longer flash durations, achieve usable images with the 5D series at 1/500th. As far as how well different brand of flash work, you’ll need to experiment. We will post results on some flashes as we get them. HyperSync for Nikon, just like the entire Nikon platform, is a work in process so there are no estimates yet for the D3. As far as mixing flashes, well they then just become an aggregate of light – a combination of the brightest moments and the longest duration. You would still tweak your HyperSync setting to deal with this combo lighting as best you can. We do not have a system for trying to align the brightest points (centering T.5 for both for instance) because that would add a serious amount of complication to the radios. That said, it might be possible someday to tweak at the depth. E-TTL flash models not listed may still work, we just haven’t qualified them. Mark Wallace was able to use 420EX and 550EX flashes successfully, but we haven’t had those flash models to test yet. They are hard to find new. 🙂 Other E-TTL flash models like Metz, Sunpak, Quantum, etc, are similarly not yet qualified. As time permits we will qualify what we can! Sekonic meters can trigger the FlexTT5 with Speedlites in manual mode for metering. 2 FlexTT5 units used as remotes can be really right next to each other ;-). Close range issues occur when Transmitters are right on top of Receivers. Connecting 2 flashes to 1 FlexTT5 is not recommended (and won’t work as described). The camera does think there is a basic E-TTL II or i-TTL flash in the shoe when a MiniTT1 or FlexTT5 is there. If you put a flash or commander in the shoe of the MiniTT1, then you get the additional controls. I hope I hit all of your questions! I’ll try to keep up a little better now that WPPI is over. sounds great! How long before Nikon compatible versions release? The hypersync is great, but can you change power levels for remote flashes? Looks like you’re actually reverse engineering the TTL protocol and power level control and grouping is done inside the flash by all manufacturers AFAIK. How long does it take you to decode TTL signals? Seems that the new units can send FEC signals which are set in camera (the snapfactory link proves that) but not those set on the flash. Still a huge pain in the neck for fast moving shooting, I can change FEC on a 580ex in under a second, not so on the body. Hope you will be releasing the Nikon version ASAP cause the market share is great and Radio Popper is winning over those Nikonians. Fantastic product, when will the Sony version be out, I can see no mention of it in the press release. Tony : Nikon support is in the works. We are saying Q2/09. Whether that’s early Q2 or late Q2 I cannot precisely say, but we are focusing on it and hope for sooner rather than later. Earliest would be 8 weeks from now at best. Ben: If you are using FEC on the camera it’ll work properly. Erik: Someday we might consider that. For now we are continuing to focus on reliability and exploring the technological challenges present in E-TTL II and i-TTL. ken: Power level for remote Canon E-TTL II flashes is currently controlled using Canon’s ratio system. It takes mere microseconds to decode the signals on the fly as we are currently doing – there is no delay and in fact we can use the data to trigger faster than any radio slave ever has before. Other camera brands like Pentax may be considered if interest is high enough. One step at a time! Ben: Changing FEC on most cameras is pretty speedy. You just hold the exposure comp button and spin the wheel! Changing via the flash on the shoe of the camera also works. It doesn’t work for anything but the flash on camera which is the problem. Let me put it into perspective. Firstly no canon camera apart from the 1 series allows more than a +/-2EV of FEC. If you are already dialed down to a -2 for outdoor fill (the popular ETTL averaging mode has no automatic fill) it gives you no way of dialing down further for a groom in a tux. Try shooting a bride all in white with heavy backlighting and again a +2 may not be enough. There’s a reason why the flash unit offers +/-3EV of FEC but if I’m stuck with either only being able to apply it to the master flash but not having it transmitted to the slave or not at all then it’s not very helpful. Next, changing FEC on a canon camera involves dropping the camera down so that you can see the screen, pressing a button, twiddling a dial and then a half press of the shutter release. Changing it on flash involves a 1/2 second twiddle of the dial with the display in front of your face, no buttons, no change of camera position. That’s it. Big difference when you’re working fast says this 10 year wedding pro. I’ve only once used on camera FEC on a job, does the FEC applied show on the flash LCD? If it doesn’t thats another big problem for fast working, you bring the camera up to your eye with no idea what FEC you have already applied (and therefore you don’t know if it needs changing) without pressing a button again. Nightmare. I’m buying the units anyway but I want PW to realise how big an issue not transmitting on camera flash FEC is to fast working pro’s in genres where changing the FEC between shots is the norm. Will it work with the ST-E2 or the SU-800? I wanted to find out more about combining my existing pocket wizard transmitters with the new TT5. I wanted to clarify that my existing Plus transmitter will not send the correct TTL info to a flash connected to a TT5? Can i use a flash connected to a TT5 to trigger an additional flash (no TT5) in slave mode? does the transmitter or TT5 transmit info like the canon ST-e2? i.e. can i have a transmitter or tt5 on the hotshoe and a flash off camera in slave mode for simple off-camera TTL operation? Other than working like my existing pocket wizards will i receive any benefits by adding one TT5 to my camera package or will i need 2 TT5s or a transmitter/TT5 combo? My quantum has a receiver that receives TTL info from a canon flash or TTL (line of site in slave mode) any idea of the TT5 will trigger that quantum? Ben, using on-camera FEC is very fast and easy once you get used to it. I currently use 3x Plus II’s to trigger my camera & a Ranger, what is needed to achive this with the new system? It seems I’d need a FlexTT5 on the camera to receive the trigger signal, and relay this to either a PlusII at the Ranger, or FlexTT5s under speedlites. Could all this be triggered from a PlusII ? with a mini or flex in the hotshoe, I am unable to adjust any power setting, all remote-ttl-flashes are regarded as one flash and fired at same power level? also: I have not read about the manual mode in this setup. what is possible? oviously no power control from camera for remote flashes? But I am able to set the manual mode and the power-level at the remote flashes manually for each and they will be fired accordingly ? I won’t be told that a method I know to be slow in action is as good, if it was then why does everyone use FEC on the flash? Secondly FEC will only be visible when you press a button even if in the viewfinder, useless if you’re shooting fast, stupid that you won’t know what your equipment is set to until you press a button. Don’t think that anyone would put up with that with regular exposure compensation. I also won’t be told that I need a pair of $6500 cameras to use the new PW’s. Unless PW take this seriously rather than trying to pursuade pros that half baked solutions are sufficient they’ve lost a customer to Radio Poppers..
is this assumption correct: if i have a mini/flex-only on hotshoe (without master,commander) and flex on remote-flashes it will still work in manual mode? I can’t control them from camera, but I have to adjust the manual-power of each flash individually? or are they ttl-only with this setup? In fact, one of the driving reasons I haven’t pre-ordered PW’s and might then go with RP PX’s is that, though PocketWizards has addressed the remote manual adjustments and are working on a solution, there’s no mention about working on the capability of adjusting FEC on the flash (for remote slaves), which then doesn’t entirely inspire confidence as to this being addressed any time soon. Sorry about the delayed responses! Ben: We’ve been looking deeper into the FEC on the flash transmitting its settings to all remote E-TTL II flashes. The short answer I have is that it doesn’t work perfectly right now, but it is very high up on the wish list. I know the flash gets an extra +/- 1 stops over several of the cameras and that is desirable. We’ve already been looking into it very seriously. seth: yes, the ST-E2 definitely, and presumably the SU-800, will do their thing on top of the MiniTT1 or FlexTT5. In fact, the ST-E2 on the Mini is a great way to do ratios. It will not do optical communication once it’s on the shoe, however, as optical and radio simultaneously won’t work. 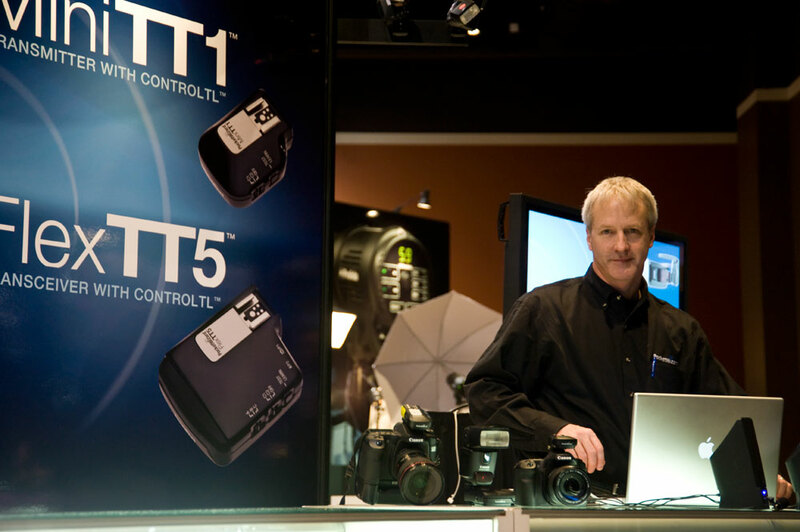 Chuck Espinoza: The Plus units do not move E- TTL II information in any capacity. If you mean slave mode like an optical sensor on a flash pack then, yes, you could trigger another flash via optical slave from any PocketWizard triggered flash, but the pre-flash will cause your optical slaved flash to trigger early (assuming the flash connected to the Flex is a Speedlite in the shoe). If you mean SLAVE mode, like Canon uses for their optical *communication*, then the answer is no. We do not provide a “remote master” mode or anything like that. If you want radio E-TTL II, you need 1 Flex per E-TTL flash. A 580 or ST-E2 on the Mini or Flex on the camera will not send out optical triggers (benefit = les wasted energy, faster FPS), but all the ratio commands you set there will be moved via radio. You cannot use optical and ControlTL radio simultaneously. You get the benefit of HyperSync by adding only a MiniTT1 or FlexTT5 on the camera with only Plus/MultiMAX units as remotes. At this time we’re only able to trigger E-TTL II flashes made by Canon. Quantum may be added later but electronically through their module, not optically. Shoebox9: Unless you need E-TTL II function, you have everything you need! A FlexTT5 can do relay mode at the camera position. It can also be triggered by a Plus II. Remote FlexTT5 units with Speedlites will trigger simultaneously as the Plus II connected Ranger. Phil: All remote E-TTL II flashes in the same Canon Slave Group are treated as one piece of light. If you are using Canon’s ratio mode, you can adjust Groups A and B relative to each other (and C relative to the exposure), or all of them using the FEC in the camera. At this time we do not have a method of adjusting the power level of manual Speedlites remotely. If they are set to Manual and adjusted individually at the flash position, they will all trigger at their set levels simultaneously. Use the ST-E2 or 580EX (I or II) as the commander in the shoe for ratio controls (but not manual at this time). Paul: The answer to your first 2 questions/assumptions is “Correct.” You can do manual remotes, but they are not adjustable via radio at this time. If the FlexTT5 is set to receive on a Standard PocketWizard Channel, the Speedlite in its shoe must be set to manual mode. If the Flex is set to receive on a ControlTL channel, then the Speedlite in the shoe must be set to ETTL mode. The Mini sends out a ControlTL and a Standard trigger for every shot and all remote flashes will trigger simultaneously. Regarding features such as remote manual adjustments and FEC from master rather than body… can these things actually be fixed and applied in firmware updates?? Obviously, there can be no guarantees – and please pardon my ignorance in these matters – but I’m just curious as to how much of this kind of stuff photographers can actually realistically get their hopes up on for a fix in the not-so-distant future. also hesitating, because of the many “we will’s”. additionally I do have 2 EOS5d II which do not work with on-camera flash right now. so: are the problems with this cam (eos 5d II), manual-remote adjustments, FEC etc to be solved within days, weeks or months? Jesse: I can’t give you specific dates, unfortunately. All I can say is that FEC from the MASTER flash is *highly* likely in a very near future firmware update and remote manual adjustments are absolutely in the product plan (single most requested feature). The manual thing is more challenging, but we are looking at many solutions already. We know this is a must have feature. Just thought I’d mention, here’s another interested Sony shooter. Another question about the radio interference with 580 EX II. Am i required to have the ETTL extension cord for both the receiving flash AND the flash mounted on the TT5 on my camera. If I only have one extension cord on the off camera flash will it by give any increase in range? Also, what is the current status about the reported failure of firing a 580 EXII mounted on the TT5 that is mounted on the camera. Thanks. also interested when 5DII should be ok with oncamera flash? Is the list of compatible flashes for ttl-mode only or general? i.e. can I work remote with my vivitar285 on a flex5 in manual mode? The 5D Mark II with flash on camera is a work in process, and not a simple one. It will probably be a Q2 solution. As far as triggering a Vivitar 285 in manual mode in the shoe of a FlexTT5, that is currently not supported but should be in the very next firmware release. Currently you would have to use the miniphone port P2 to trigger it, but as I said, an upgrade is coming that expands the manual flashes you can put in that top shoe. The top shoe will be limited to 50V sync, so make sure your Vivitar falls in that range. For E-TTL II flashes in that shoe, we are looking to expand that list, too, but I can’t offer anything concrete at this time, except to say we expect the 550EX to be a very strong candidate. part of the dwf. been reading over the beta test from tricoast photography. what is being done or will be done to so that we can use the cfn functions with our 580 ex mark 1 w/the new pocketwizards? i.e cfn 6? also when will these units ship to vendors. its mar 2, and still no wizards? Have the Canon units started shipping to dealers yet, as planned? If not, what does the release schedule currently look like? danny: Do you mean the C.Fn for Quick Flash (C.Fn 6 in a 580EX II, C.Fn 8 in a 580EX)? The one where you can keep triggering even if the flash LED is only green – not quite ready, but still triggering some flash energy? I just tested that with a 580EX and a 580EX II using a MiniTT1 in the shoe of a 5D (Mark I, NOT Mark II), 50D, and a Rebel XSi. I had no problems using Quick Flash mode either with the flash in the MiniTT1 shoe or on a FlexTT5 remote. It did not work on the flash in shoe when I set that flash to , but that’s a function of how Canon’s system works – apparently you cannot combine and Quick Flash, at least I wasn’t able to. I was able to do something cool, though – I used “Force TTL Master Mode” on the MiniTT1 and had Quick Flash working with the flash on camera AND the remote! Canon’s system doesn’t seem to be able to do that out of the box, or if it does, maybe my batteries were so drained by the pre-flash communications that I couldn’t see it working – I never saw the LED turn green using strictly Canon’s optical system, only red and off. Now I got great results, but I did not verify with absolutely every camera yet. There could still be combos that don’t work. I’ve reviewed the problems they had over at TriCoast and while I feel badly about their out-of-box experience, I cannot replicate their results. Still trying, though. It might be another Custom Function, or combination, that was giving them grief. Shipping is happening. We’ve had sick days and snow days and slight delays, but boxes are absolutely moving around. Demand far exceeds supply, though, so they may still be tough to get even after the first ones get to a store. The word MASTER got dropped a few times above because I formatted it like Canon does – with Greater Than and Less Than symbols that WordPress finds tasty. If a sentence makes no sense, try adding MASTER to it. yep mixed up my cfn’s your reply is good news to hear with the success of the 580 mark 1.
i pre ordered mine 2 tt5 & 1 tt1. looking foward to these new units. When using just the trigger on camera with ETTL II how do you active ETTL’s Hi-Sync flash? If it’s not activated on the flash on camera then it won’t work, it needs to be activated on the ST-E2 as well, how on earth do you activate hi sync on these PW triggers? If you’re limited to the X-sync that’s a serious issue. Ben: The MiniTT1 (or FlexTT5 used as a Transmitter) basically tells the camera, “Yup, I am in High Speed Sync (FP Flash) mode.” We have to tell the camera that or we couldn’t pull off HyperSync! By telling the camera we are HSS capable, HSS moves to remote E-TTL II flashes automatically. You are only limited to X-Sync if you put a flash or ST-E2 ON TOP of the MiniTT1 and forget to put that flash in HSS mode. Hi, I wonder if it would be possible to shoot wireless TTL using Quantum Q-Flash’es using these new PW units? Would it be possible to connect Q-Flash T5D units to PW transcievers through a Quantum D23w-R TTL module for Canon systems and have it work with E-TTL(or Q-TTL)? This would be a killer feature, especially if it would be possible to shoot HyperSync/High Speed sync with the more powerful Quantum units. If this works, then I guess this would also allow mixing Q-flash and Canon units for even more versatility – which would be great for all kinds of location photography. SO WILL THE NEW PW B SHIPPING THIS WEEK & WHAT CAN BE DONE TO diminish the rf interference? I completely understand that Nikon and Canon are the big priorities here – but look at the market share of Sony – it is growing, and fast. As suggested by your customer service rep who I e-mailed, you don’t really plan on any kind of Sony support – so you can add me to the list of potential customers who have left dissapointed and are going to a more innovative company that care more about the diverse range of shooters. Morten: At this moment only the E-TTL II flash models we list in our compatibility section are supported for TTL Autoflash when used in the top shoe of a MiniTT1 or FlexTT5 (manual flashes are a work in process). We expect to add more E-TTL II compatible flashes over time, via a firmware update, to top shoe compatibility, and Quantum’s Q-TTL is certainly on our radar. The manual triggering circuit (P2 on the FlexTT5) is based on our tried and true triggering formula carefully developed over the years and should be able to trigger those flashes manually and achieve HyperSync. danny: Yes, units are working their way through channel right now. As far as diminishing RF interference, there are lots of suggestions in the manual for that. Check it out! Did you have a specific interference situation in mind? Following up on what Morten was speaking to…are you folks thinking of implementing wireless TTL/QTTL/E-TTL with Quantum units via compatibility with the D23w-R TTL module through the top shoe of your receiver, OR via direct radio wireless transmission to Quantums FW7Q QTTL receiver that plugs into the remote position QFlash? Another way to frame the question is: Do you have the ability to transmit the TTL signal over Quantum’s frequency directly to a Quantum receiver, i.e. do your frequency channels match up with Quantum QTTL equipment on any channels? Another related issue: Is remote manual adjustment of Quantum equipment on the radar screen? Also, you should be aware that Quantum is looking at trying to implement HSS to the T5DR units. If they are successful, do you have any plans to implement that feature into the Mini/Flex units? first tests show very bad distance range for the new units. any comments on that? will it be possible to improve with firmware-updates? I see Nikon is soon to be released, I shoot Pentax and would love to get my hands on a mini to go with my pair of II’s. I hope PW is looking into that as well as other makes. 580EXII -> only about 35ft range in ideal conditions (good line of sight)? worse… having people passing by between trigger and receiver – all the whilst being only in 10-15ft range – and getting misfires and other erratic behavior?! Just want to add my vote as a Sony/Minolta shooter who would surely but these products if you decide to make them for our unique flash mounts. PocketWizard appreciates the time and effort that TriCoast Photography has put into their testing. We further appreciate their efforts to get the best out of the box test. We would like to add a few comments to clarify or correct some of the test conclusions. The FlexTT5 is capable of much longer range than the 35-40 feet reported in the TriCoast range test. In fact the 120 feet they demonstrate in the video is much closer to reality even when using an RF noisy flash like the 580EX II, and even greater distances can be achieved with other flashes or set-ups. •	Mount the FlexTT5 away from the ground. TriCoast correctly used the OC-E3 cord which helps with range, but they let the FlexTT5 dangle about 1 foot above the ground, which is very detrimental to range. When they hand-held the FlexTT5 about 3.5 feet above the ground, they got much longer range. Even higher would have been even better. •	Mount the FlexTT5 per the photos in the manual. In both photos the FlexTT5 has the antenna folded all the way out, with the unit rotated so its top faces the photographer (when possible) with the antenna pointing at about 2 O’clock. One photo shows a pretty good method that doesn’t require the OC-E3 cord. The other shows the ideal solution for maximum range using the OC-E3 cord with a ferrite clamp. A very nice thing about the OC-E3 cord is that it gives you maximum ability to position the flash for best lighting and the FlexTT5 for best reception independently. •	In the videos TriCoast mentioned that a person walking between you and the FlexTT5 would cause a dramatic range reduction. This can be true in an outdoor/open field environment for all radios, but when indoors like in a church or reception hall there are ample opportunities for the signal to bounce around and provide good range. The “person blocking the signal” effect is dramatically reduced, often to zero impact, when the units are used indoors or near buildings. No question that line of sight is helpful to all radios, but not having it when working indoors is normal and the PocketWizards can handle it. •	Further range improvements can be achieved if you use a FlexTT5 as the transmitter on the camera. This can increase range by as much as another 20%. •	Erik: To answer your direct question about firmware, the answer is that a firmware update would not help with range. It is purely an RF issue. •	Jesse: To answer your direct question about misfires and erratic behavior, the answer is that these are systemic problems with any radio system at the extremes of range limits. From our measurements of the flash output on oscilloscopes, we are not seeing a “full dump” that is beyond what Manual 1/1 can do. Manual 1/1 appears to drain the capacitor completely. We do a lot of processing to make sure flash energy isn’t wasted. In fact we double check that 1/1 was requested by the camera. We are constantly working on improvements and new features and will continue to enhance in this area. •	In early testing of the Nikon versions of the MiniTT1 and FlexTT5 we have not encountered any RF interference and believe that their range will be excellent. •	If you are operating your remote flashes in Manual Mode on Standard Channels (no E-TTL II), you will also get an improvement in range as mentioned in the manual on page 36. •	You do not need to connect to a computer to see battery level. The Status LED changes color for different battery levels. This is detailed in the manual on pages 6 and 29. It shows 3 levels, similar to most cameras; Green = good, Amber = change soon, Red = change now. •	If you already own a Plus or MultiMAX, you do not need to connect the FlexTT5 or MiniTT1 to a computer to change channels. You can teach the new units channels from the old units, and set ControlTL channels as well that way (manual pages 22 – 25). Also, if you have just one unit set from the computer, but not the rest, you can always teach the others from the known unit. Channels are not usually something you change very often, though. Out of the box the channels are set to 1 and 2, and you can always use RESET (manual page 28). I hope that addresses at least some of your concerns. Please feel free to contact me if you have any more questions. I would be interested in seeing these available for Minolta/Sony cameras. After the release of the A900 many professionals are using Sony cameras and the availability of PW is awaited for some time now (it was during Minolta days), hope you can add Sony to the list of supported brands. I understand there are ways to increase the range when using RF noisy flashes via the cord and ferrite clamp. My question is if you don’t want to use a cord and clamp (the whole draw for me over RP’s is the “slide and shoot” ease) is the 35-40 foot range about what I can expect or was that an irregular result over at tricoast? I received the new units and like them. but since there are much more possibilities now, their usage is more complicated. I found some questions myself (see below), read questions in forums and am not surprised, that you had you clarify some things about the test of TriCoast – although much of the info is available in the manual. what’s missing and what I am proposing is to publish some case studies where you explain how the different units and flashes were set up for a shot in different situations, ttl, manual or mixed. I think this would very much clarify a lot of things and it would unburden your support-department if people can better understand the product. If the FlexTT5 is set to receive on a Standard PocketWizard Channel, the Speedlite in its shoe must be set to manual mode. If the Flex is set to receive on a ControlTL channel, then the Speedlite in the shoe must be set to ETTL mode. The Mini sends out a ControlTL and a Standard trigger for every shot and all remote flashes will trigger simultaneously. Thank you for the suggestion. We intend to do exactly that over time – make some video explanations. But each photographic situation is unique. To answer your needs more deeply, I’d have to understand more about what you are trying to achieve. people seem to have problems, even within short distances. Erik: I’m not sure what range they were operating at of if they have had the opportunity to try any of my suggestions from above. I’m trying to get an account on dpreview, but my registration may have been caught by a spam trap! I’m working with at least one of the photographers from the dpreview post directly. When I resolve his issue, I’ll try to remember to post the solution back here. I just want to make sure I understand. If I have a ST-E2 connected to the MiniTT1 and one flash connected to a FlexTT5 and then a second flash not connected to a FlexTT5, will the ST-E2 still trigger the second flash using IR? I’m glad to see that the latest FW allows a 580EXII mounted on the camera plus TT1 or 5 to set the slaves’ manual power. Is it within the realm of possibility that future FW can do remote manual *without* a flash mounted on the camera using a TT1 or 5 and the camera’s external flash menu? Matt Rupp: In general this is true. But there is sort of a way to do it. Not supported, but it does work. The on-Mini/camera unit needs to be a 580EX (ST-E2 doesn’t do it at this time). The remote optical-communicating flash must be set to group A. The radio flash can be B or C. Not perfect, but workable. Optical in tandem with radio is an interesting feature idea that we might someday consider. But we do a lot of work currently to reduce the optical communications because of the tremendous battery savings for the MASTER flash and the reduction of “annoyance” for the subjects. The 580s emit way fewer pre-flash pops on our system. And the ST-E2 lasts much longer – 80% of it’s power consumption is used by flashing so by turning that off we make that wacky battery last a loooooooong time. I’m chomping at the bit to get a hold of a Nikon version of this. Any update on the Q2/09 projection from earlier? Ben Frederick: Same story as before – by the end of Q2/09 (June 30th). Sorry! what problems I can expect when using FCC tt1 and tt5 (us versions) in Europe? when CE version will be available in Europe???? Darko: USA/FCC units are not legal for use in Europe. You might have interference issues. You might run into regulatory issues. CE versions are planned to be available by the end of Q2 (by the end of June). You say that 580 and 430 interfering would be less harming ~430mhz frequencies (CE) than FCC frequencies ? What you suggest me because I have both 580(one) and 430(one) flashes? What would be the price in Europe ? I would recommend you purchase units where you live so that if you ever need warranty service, it’ll be more immediately available. CE would probably be better for you if you are using those specific flashes. Outside the USA, please check with your local retailer or PocketWizard importer for pricing. Look at the price differential between a USA Plus II and a CE Plus II and you’ll probably experience something similar. I have a Nikon D50, and an SB-600, and I want to make it easier to do off camera flash. Would you recommend the Pocket Wizard Plus II, or the upcoming PW Nikon Mini / Flex? Would either of those not work, with the D50 / SB-600, and would the PW Nikon mini-flex offer an advantage as far as the sync cord issues? JD: If you want standard triggering (no iTTL/CLS and no shutter speeds faster than X-sync) then the Plus II will work for you. The Plus II is also less expensive and available right now. If you want any of the advantages of iTTL or faster shutter speeds then you would need to wait for the Nikon MiniTT1 and FlexTT5. The FlexTT5 would connect directly to your SB-600 and eliminate the need for a hotshoe to miniphone connection like you would need for the Plus II. – ST-E2 (or legacy flash) in hotshoe for AF-assist only – all TTL, etc ignored. In my understanding of the current capabilities/limitations this would be the ideal setup for the work I do. Also is it possible to chain transmitters such that one of the remote flexTT5s triggers another brand of (non TTL) transmitter (such as cactus)? This would be ideal for protecting current investment in manual flashes and triggers. Having the camera menus control the flash output values will someday very likely be included, but that feature is months away, and may not come out until after Nikon is finished. I wouldn’t look for it any time soon. The ST-E2 can provide AF-Assist. only. If it is on the shoe of a MiniTT1 or FlexTT5 as transmitter, and it has Ratios turned off (HSS on, though) then it is pretty much all it will do! If you are asking about an ST-E2 as AF-Assist with camera control menus handling the flash levels, see my first 2 paragraphs. The trigger circuit on a FlexTT5 is designed to trigger flashes. Whether it will trigger another brand of radio slave is unknown, but probable. The only drawback to this solution is that you re-introduce a radio propagation delay for the flashes triggered by another set of radios. That could cause ghosting and it will certainly impact HyperSync. If you are using slow shutter speeds and fairly static subjects, it would probably work fine. Just to clarify what I meant by remote master… Is it possible to have an OFF CAMERA 580 set up with ratios / manual power settings between groups for all other remote 580s. This would prevent wasting 1 580 on the camera (at the expense of being able to change settings from the camera). My question about the ST-E2 would then probably make more sense… if the off camera 580 is used to set ratios can the on camera st-e2 be ignored and just treated as a Af-assist only. Hope this makes a bit more sense, although reading it back im not sure that it does! Also, any news on Europe release dates for the Flex/Mini? We do not provide a way to trigger a “remote master.” A master flash has a lot of 2-way communications with the camera at very fast speeds that aren’t available over the air via our radios at this time. As I said, a remote flsah cannot be a MASTER. For slave group control of remotes to work, you must have a MASTER on the radio on the camera. We hope to have CE radios shipping by the end of July.